This year, the award for achieving distinction and promoting expertise as a leader in the security sector goes to Petri Käyhkö, Head of Corporate Security, K Group. This is the third year that Aalto University Professional Development (Aalto PRO) and the Finnsecurity Association awarded the prize. Petri Käyhkö has extensive security experience from various organizations in the security sector. He has worked for K Group for many years and has been its Head of Corporate Security since 2016. The jury was impressed by his view of security development as a service and a builder of trust in an organization. This clearly distinguishes his approach as a business enabler, in both his own role and in cooperation with his security team. Käyhkö has also been a positive, constructive and active player in security networks and is currently Chairman of the ASIS Finland Association. "Security is created together and everyone's input is important. I value working together with other people towards common goals. 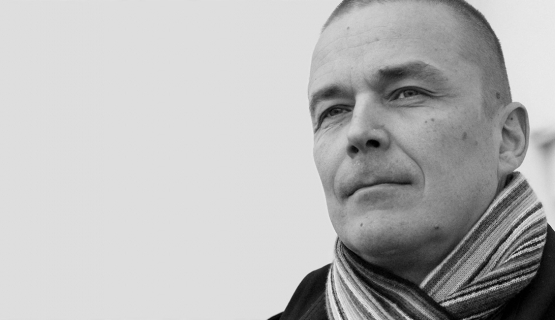 I view my work as problem solving, making progress through expertise," says Petri Käyhkö. The selection criteria emphasize high performance in challenging management tasks, and having a comprehensive and strategic grasp of security. The winner must also demonstrate an active approach to security and strengthening of its strategic position in their own organization and/or sector, and efforts to develop security expertise in Finland. The jury consisted of Senior Program Manager Anna Maija Ahonen from Aalto PRO, Executive Director Joona Vuorenpää and Chairman Arto Kangas of the Finnsecurity Association, and Mika Susi, Chief Policy Adviser of the Confederation of Finnish Industries. The Diploma in Safety and Security Management Program of Aalto PRO is highly rated and something of a household name in the industry. Over 400 Finnish security professionals, who also value the career-long network of security experts provided by the program, have participated so far. One of the program's assets is its comprehensive treatment of the various aspects of security and management development.